New Grey Genetics in Canada! 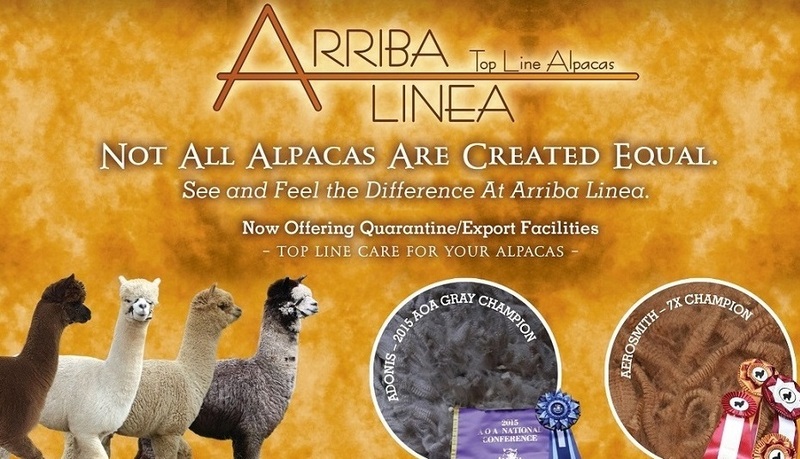 Ranking as a Top Herdsire at Arriba! Oreo is a stunning male with dense, crimpy fibre and excellent staple organization throughout. He is unrelated to most of the top black sires in Canada and he is one of our top producers! Arrisa is such a pretty female! Her sire and dam are both known for producing champions. She is going to be a great addition to our foundation herd. 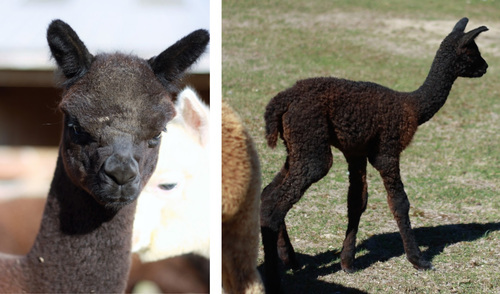 Arrisa's first cria has arrived! 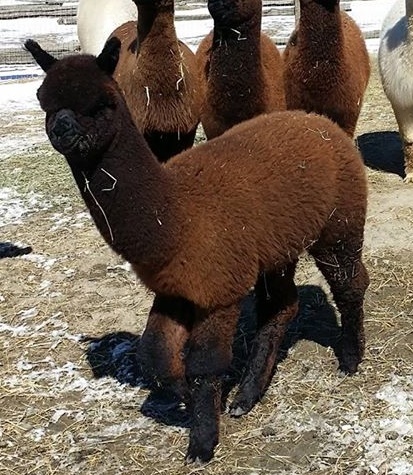 A gorgeous black male sired by Oreo. Love him!!! This is my favourite cria from the 2016 crop. He is still young but right from Day 1 we could see the potential. Fine fleece, excellent density and great phenotype! 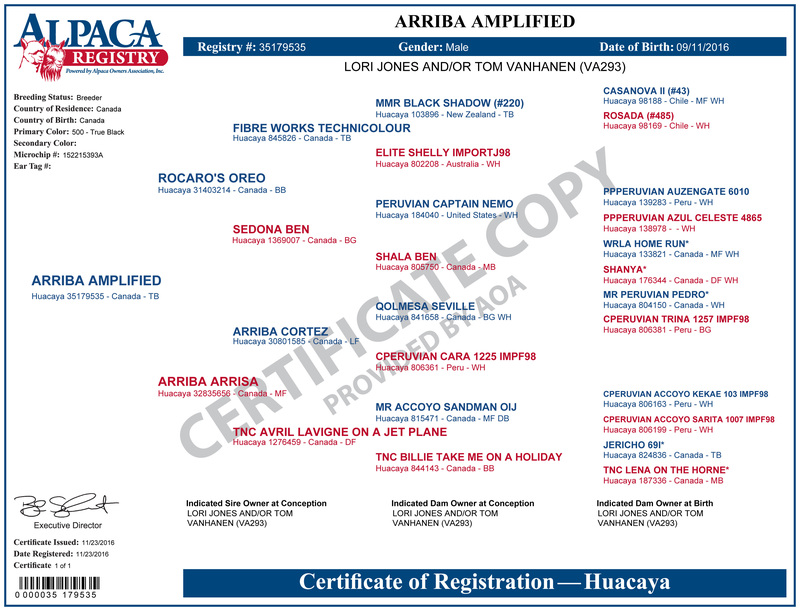 Packed full of amazing genetics with Arriba Cortez, Oreo Ben and TnC Avril Lavigne! Can't wait to see how he develops! RESERVE CHAMPION - ALPACA ONTARIO WALKING FLEECE SHOW 2018! 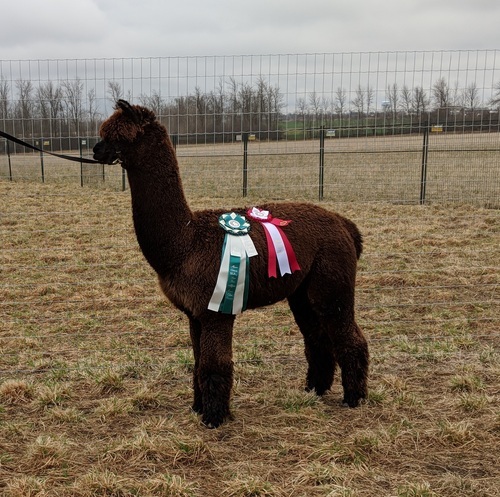 1ST PLACE - ALPACA ONTARIO WALKING FLEECE SHOW 2018! 1ST PLACE - NAVAN FAIR FLEECE SHOW 2018! 2ND PLACE - ALPAGA QUEBEC HALTER SHOW 2017! 3RD PLACE - CNCC HALTER SHOW 2017! 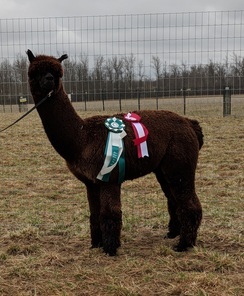 3RD PLACE - ALPACA ONTARIO HALTER SHOW 2018!